What are you waiting for...let's get creative! Additional Info: Let Me Expose You ! My personality is diverse, and so is my photography. I have no particular genre, but I enjoy capturing your energy in my lens. Feel free to view my website [www.dpstudios.smugmug.com], and view the various avenues of photography that DP Studios has undertaken. 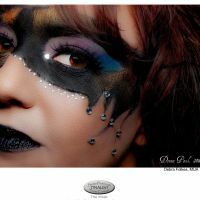 DP Studios has been published in various magazines and newspapers, and is an award winning photograher. DP STUDIOS IS READY, WILLING and ABLE to go that extra mile to get the photo you want: On/Off location, Live Gigs, Private, Charity Events, Band Shoots, Model Shoots, and a whole lot more, ALL at reasonable pricing. Fees: The Economy is rough right now, and everyone's situation is different, so to help out, DP Studios will work with you to capture a memory that will last a lifetime and more.